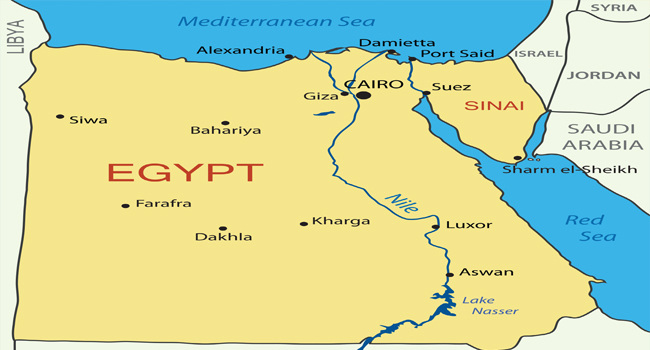 Egyptian police are investigating the death of a Coptic Christian bishop who was found dead in his monastery northwest of Cairo on Sunday, the Coptic Church said. The body of Bishop Epiphanius “was handed to forensic investigators to determine the cause of the death and whether or not it was a murder”, a security official said on Monday. “The body was found in one of the monastery’s corridors with head injuries”, added the security official, who declined to be named. Bishop Epiphanius, 68, was the abbot of Saint Macarius monastery in Wadi el-Natrun. “In light of mysterious circumstances surrounding his death, the authorities were called and they are now carrying out their investigations,” Coptic Church spokesman Boulos Halim said in a statement late on Sunday. The bishop joined the monastery in 1984 and was elected as its head in 2013. Copts have long complained of discrimination and intermittent sectarian attacks. They make up about 10 per cent of Egypt’s 100 million people and were targeted by the Islamic State group in jihadist attacks in 2016 and 2017. No evidence has so far been flagged to suggest the bishop’s death was related to sectarian tensions.